A Medicaid crossover claim is when a Medicare recipient, who is also covered by Medicaid, visits a health care professional, and the provider submits the medical claims to Medicare. After Medicare processes the claims, the claims automatically crossover to Medicaid. 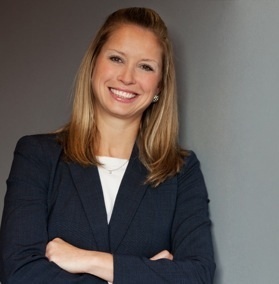 A crossover claim lifts some of the paperwork burden off the Medicare/Medicaid recipient. Crossover claim files in NC are all sent to the Centers for Medicare and Medicaid Services‘ (CMS) Coordination of Benefits Contractor (COBC), which has a New York data center. The New York data center used by the COBC to produce and transmit crossover claim files experienced flooding due to Hurricane Sandy. As a result of this flooding and the need for the COBC to switch over to a disaster recovery site, there have been delays in sending out crossover claim files to the NC Division of Medical Assistance (DMA) and its fiscal agent. CMS is sending regular updates on its recovery process. While this delay is concerning for our North Carolina Medicare/Medicaid recipients, let’s remember the disaster and devastation that many people in New York are still facing. We can take the delay. But it is nice to know the reason. Starting January 1, 2013, Medicaid must increase the amount paid to primary physicians in North Carolina. According to Section 1202 of the Affordable Care Act (ACA) – which amends section 1902(a)(13) of the Social Security Act – Medicaid is federally required to pay at the Medicare rate for certain primary care services and to reimburse 100% Medicare Cost Share for services paid in calendar years 2013 and 2014. The codes included in this provision include evaluation and management (E&M) services and immunization administration for vaccines and toxoids. That’s good, right? Yay! More money for physicians who will take Medicaid patients! That means that more physicians will accept Medicaid, right? WRONG!!! Concurrently, Obama is slashing the budget for MediCARE by $716 billion. How is he slashing $716 billion of the federal Medicare budget? Largely by reducing the amount Medicare pays to physicians. Let me repeat: While Obama is increasing Medicaid payments to doctors “up to 100% of Medicare payments,” Obama is REDUCING the amount Medicare pays out. This equals a sham. The law states that Medicaid reimbursements will be increased to the amount Medicare pays out, but Medicare pay out are being slashed. Medicare already pays a very low amount. For example, Dr. Joseph Shanahan is a rheumatologist in Raleigh, North Carolina. Shanahan told his local ABC affiliate, WTVD, that he was one of the few rheumatologists left in the Research Triangle area who accepted Medicare patients. “The reimbursement is so low [with Medicare]—in some cases 60, 80 dollars—it costs you more to get a plumber to come to your house than to get a rheumatologist to come to the hospital,” he said. Starting this spring, Dr. Shanahan will no longer accept Medicare patients. What does this tell you about Medicaid? The so-called increases in pay to physicians accepting Medicaid is a sham. The increase, if any, will be meager. Physicians accepting Medicaid will still be scarce. The State contracted with PCG (a consulting group) to review Medicaid payouts to health care providers providing community support, community support team, and personal care services to Medicaid recipients in 2010. The health care provider receives a letter called “The Tentative Notice of Overpayment,” which states the amount owed to the State. Frequently, the amounts are in the hundreds of thousands of dollars. The tip today is: Remember to read all the Implementation Updates and Medicaid manuals from the time period which is at issue. The rules and regulations have changed drastically over the years. For example, if the Notice of Overpayment covers January 2010 through June 2010, the 2012 rules will not apply. PCG tells Health Care Provider ABC (“ABC”) that ABC must pay back $450,000 for Medicaid services provided to Medicaid recipients for community support team services in January through June 2010. 90% of PCG’s alleged document deficiencies found is due to the Person Centered Plan (“PCP”) being signed prior to the comprehensive assessment. Obviously, Medicaid rules state that the assessment must occur prior to any PCP. However, NOT in 2010! In early 2010, DHHS drafted Implementation #68, which stated that health care providers would no longer use an Introductory PCP. Remember those? An Introductory PCP was drafted prior to the assessment. An Intro PCP was extremely basic and really just gave little information regarding contacts and a brief overview of the Medicaid recipeints’ issues. But, importantly, the Intro PCP was signed prior to the assessment, unlike now. So when PCG cited these 90% of errors because ABC’s documentation was misdate; and, therefore ABC must return Medicaid monies, PCG failed to read Implementation Update #68. Back in 2010, a PCP could be signed prior to an assessment (an Intro PCP). So, actually, all the “errors” were not errors. And ABC was saved from owing $450,000 to the State. The morale? READ THE IMPLEMENTATION UPDATES FROM THE RELEVANT TIME PERIOD!!! I think this blog is extremely pertinent and thought people should read it again. The NC Attorney General’s office has arrested 18 health care providers for Medicaid fraud in the last few weeks. Roy Cooper says more are to come in the upcoming weeks. Andora Hailey, a Wake County mental health provider, is charged with four counts of Medicaid provider fraud. Investigators allege that she submitted more than $25,000 in bogus time sheets for payment. Sarina Hotka, operator of a Cumberland County health care agency, is charged with eight counts of Medicaid provider fraud. Investigators allege that she billed the Medicaid program for more than $150,000 in unauthorized personal care services. Gloria Rogers, a Cumberland County speech therapist, is charged with seven counts of Medicaid provider fraud. Investigators allege that she billed the Medicaid program for more than $50,000 in services she wasn’t licensed to provide. Cynthia Denise McLean, operator of a Harnett County home health care agency, is charged with three counts of Medicaid provider fraud. Investigators allege that she submitted more than $8,000 in bogus time sheets for payment. Geralyn Brown, operator of a Robeson County home health care agency, is charged with two counts of Medicaid provider fraud. Investigators allege that she submitted more than $1,000 in bogus time sheets for payment. Timothy Batts, operator of a Wayne County group home, is charged with five counts of Medicaid provider fraud. Investigators allege that he billed the Medicaid program for more than $20,000 in unauthorized services at his group home and billed for services to Medicaid recipients that were not provided. Cooper said that the above-listed arrests accounted for over $500,000 of Medicaid fraudulent payments. Perdue Deciding the Fate of Medicaid While McCrory Out-Of-Town?. It is a standoff between the states and Obamacare. On one side is the Obama administration and its prerogative to get as many states as possible to sign up for the Medicaid expansion. The administration has provided a financial incentive, policy incentive and political incentive for all the states to accept the Medicaid expansion. On the other side is the state, its governor and administration, which must decide whether taking the federal money to expand Medicaid is in its best interest. My projection: North Carolina will expand Medicaid. We will accept federal dollars? Why? Because NOT accepting federal money will be political suicide for Pat McCrory. The second McCrory announces (theoretically) that he will not expand Medicaid, the news media will be interviewing 12,000 single mothers whose husbands died in Iraq and who have children with no healthcare coverage. When uneducated people watch the messages from the single mothers with no health care coverage for themselves or their children, the uneducated people will be outraged. Therefore, not accepting federal funds will be political suicide. 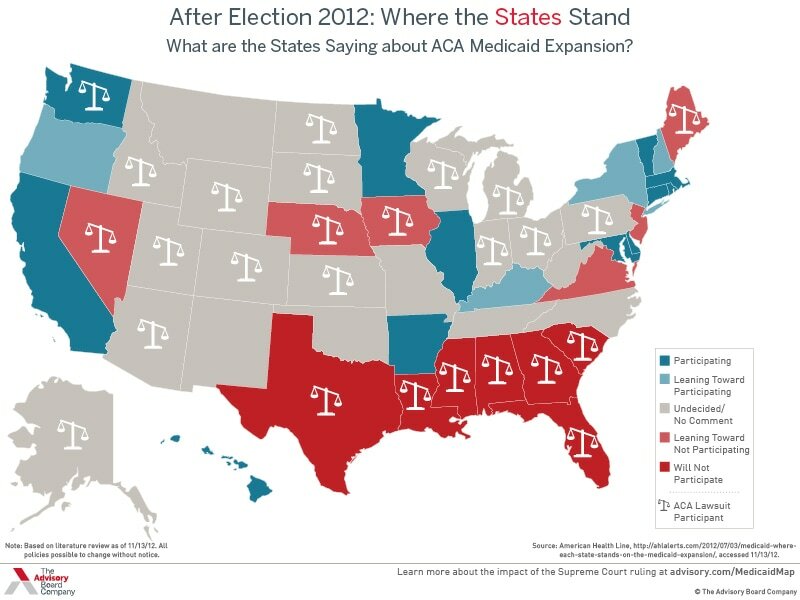 The scary facts about Medicaid expansion? See my blog: “Medicaid Expansion: BAD for the Poor.” This blog concentrates on the monetary impact of Medicaid expansion. Financially, Obamacare will cover 100 percent of the costs for new Medicaid enrollees for the first three years. Normally the feds pay approximately 60-80%, depending on the state. Many states are wary of the cost of the Medicaid expansion, whether those high reimbursement rates could later get ratcheted back. There are still a number of Democratic governors who have yet to commit to expanding the program. Most Republican governors expect to refuse Obamacare. Some states have asked the administration for permission to do a partial Medicaid expansion, covering everyone under the poverty line (the full expansion goes up to 133 percent). That could help shield states from the risk of taking on lots of new enrollees. What exactly does “Medicaid expansion” mean? Under the Obamacare health care law, people under age 65 will qualify for Medicaid if they earn up to 138 percent of the federal poverty guideline. (Basically, it raises the poverty level for eligibility criteria for Medicaid; thus allowing more people to be covered by Medicaid). For a single adult, that means about $15,000 a year. There are nearly half a million people in NC who don’t have health insurance and make under $15,000 a year. The federal government will pay 100 percent of the cost to insure these newly eligible enrollees for three years beginning in 2014. Eventually, the federal government’s share of the cost begins to shrink annually until it is 90 percent in 2020, and the state pays the rest. Overall, NC would receive about $15 billion in federal money for health care providers over the next six years. Usually characterized as health insurance for the poor, in North Carolina the program actually covers low-income legal residents only in specific categories: children under 19; seniors also enrolled in Medicare; pregnant women; and adults with disabilities (19-64 years old). Many are surprised to learn that non-disabled adults under 65, no matter how low their income, aren’t eligible for Medicaid in our state. Reversing this “categorical” exclusion is health reform’s biggest change. Expanding Medicaid will enroll non-disabled adults earning below 138 percent of the federal poverty limit. That’s about $15,000 annually for an individual, or $25,400 for a family of three. Nationwide, 15 million would qualify. Most are men, the majority are under age 35 and three-quarters have earnings are below the federal poverty limit mit. Ironically, without expanded Medicaid enrollment, these individuals will not have access for insurance subsidies through the benefits exchanges which begin at 100 percent federal poverty limit. So why would a state NOT want to cover health care for more citizens? What is the downside? There are serious and legitimate concerns about states’ costs. Obama makes the costs appealing for states because the true costs will not balloon until 2020. In 2020, many states may go bankrupt from Medicaid costs. Expanding Medicaid will mean that state administrations need to expand their oversight, even though the care is supported with federal funds. Also, when the new Medicaid is advertised, some applicants will discover they were already eligible — but not enrolled — in the “old” Medicaid benefit, where the state’s share is much higher (35 percent). Also, another huge negative for expanding Medicaid is the real and deeply concerning truth of which I wrote about in my last blog: too many Medicaid recipients with not enough Medicaid providers equals sub-par health care coverage for Medicaid recipients. New NC Medicaid Enrollees by 2019: 633,485 – 877,560 depending on outreach efforts of state and federal government. Previously uninsured newly enrolled in Medicaid by 2019: 429,272 – 661,292 depending on outreach efforts of state and federal government. Costing state $811 million – $932 million. Total State expenditures on expansion: $ 1 billion – $1.8 billion. Without Obamacare, Medicaid costs Tar Heels about 25 cents out of every dollar they pay in taxes. Education costs about 55 cents. Either the legislature will have to pass new taxes to support the Obama Medicaid expansion or take the money from both education and the 20 cents set aside for the State Bureau of Investigation, ferryboats and everything else. Costs and the serious concern that Medicaid recipients will receive sub-par health care coverage are two large negatives. However, the drawbacks to rejecting Medicaid expansion are large too. Rejecting Medicaid expansion will block billions of dollars of federally supported medical costs from reaching the North Carolinians. But notice I wrote “costs” not “care.” Because as discussed in my previous blog, holding a Medicaid card does not equal receiving the health care needed. No one seems quite ready to budge. The States are not making decisions, and Obama’s administration is waiting. Health coverage for millions of Americans, meanwhile, hangs in the balance. Essential to Medicaid is physician participation. Yet, Medicaid only pays approximately 60% of the total charge to a health care provider providing Medicaid services. For example, if a doctor charges $100/office visit, Medicaid would pay the physician $60. Therefore, most physicians refuse to accept Medicaid. In fact, in rural areas of North Carolina, where the percentage of Medicaid recipients is greatest, there can be a ratio of 200:1 Medicaid recipient to physicians accepting Medicaid. For some rural North Carolinians, the Medicaid card in their hand is worthless; people cannot find physicians accepting Medicaid. This scarcity of Medicaid providers becomes even more of an issue when it comes to dentists. A recent nationwide study indicated that over 60% of dentists refuse to accept Medicaid. The percentage grows if the dentist is a specialist. What will happen if North Carolina accepts federal dollars to expand Medicaid? Approximately 720,000 more North Carolinians will be covered by Medicaid. But the laws do not require additional doctors to accept Medicaid. 720,000 more North Carolinians covered by medicaid means: many people holding Medicaid cards will have no doctor/dentist willing to treat them. Obamacare does increase the amount paid to physicians accepting Medicaid in 2013 and 2014. But the increase is nominal (20%) and Obama has not explained from where the additional funds will come. It is 2007 in Maryland. A 12 year old boy named Deamonte Driver complained to his mom that he had a toothache. Deamonte’s family depended on Medicaid for health insurance. Deamonte was eligible; he held a Medicaid card. Deamonte’s mom called and called and searched and searched for a dentist willing to accept Medicaid. Unsuccessfully. Sadly, unbeknownst to Deamonte’s mom, Deamonte suffered a tooth abscess. Unable to find a Medicaid-accepting dentist, weeks later, Deamonte was admitted into the ER. Deamonte’s bacteria from the tooth abscess, the tooth which could have been extracted for approximately $80, spread into Deamonte’s brain. After 2 operations and a 6 week hospital stay (for approximately $250,000), Deamonte died. All because Deamonte’s mom could not find a dentist willing to accept Medicaid. Giving people Medicaid cards does not equal providing Medicaid recipients quality health care services…or even adequate health care services. Basically, this sham of of expanding Medicaid is just that…a sham. On paper, it appears that more people will be helped. And it is a GREAT marketing tool for politicians. Who would vote for the politician who said….we just cannot cover everyone with Medicaid? But, in reality, expanding Medicaid will make it harder for Medicaid recipients to receive good health service. The disparity between the quality of health service to those people with private insurance versus those people with Medicaid reminds me of a sad part of U.S. history…when U.S. implemented “separate but equal” for blacks during the Civil Rights movement. In the pivotal case of Plessy v. Ferguson in 1896, the U.S. Supreme Court ruled that racially separate facilities, if equal, did not violate the Constitution. Much later, Chief Justice Earl Warren, following the decision of Brown v. Board of Education of Topeka, stated that “separate but equal is inherently unequal.” The general implications of the Warren Court opinion, however, are applicable to a great variety of separations, such as the separation of quality medical care for those people with private insurance and the sub-par health care for those people who depend on Medicaid for insurance. Separate is not equal. Giving more people a Medicaid card does not provide health service. People with Medicaid deserve the same quality health care that people with private health insurance receive. But expanding Medicaid will do the exact opposite. More people will depend on Medicaid, and more people with receive sub-par health services…or worse, no health care at all.